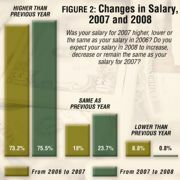 Even in rough economic times, everyone wants to know how their salary stacks up. Learn where you stand compared to your peers in the field. 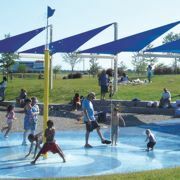 While rectangular pools are a necessity for many agencies and organizations, plenty of cities, parks and facilities are going off the traditional roadmap, adding waterpark-like elements and programs. 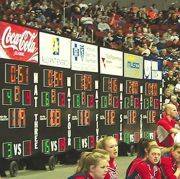 While some facilities invest heavily in high-tech scoreboards, there are plenty of lower-cost, highly effective options available. Learn more to make the best decision for your facility. In cooperation with the U.S. Centers for Disease Control and Prevention, the NSPF is making it easier for facilities across the country to stay ahead of outbreaks of recreational water illnesses. College recreation facilities are central to campus life. In this Design Corner column, author Curt Moody explores ways the design can incorporate campus elements—including team colors and mascots—to solidify the campus culture. Before you say ready, set, go, take a look at these 10 steps to ensure your road race comes off without a hitch. At Crystal Beach Park, a stunning revitalization has led to increased play options for kids of all abilities. With a need to expand clientele beyond the typical muscle-bound gym-goer, this facility's owner took some creative approaches to reach the community with strength training and other fitness options.